Orval Gene Harrison, 89, passed away Wednesday, August 8, 2018, at Mary Greeley Medical Center in Ames. Orval attended Iowa School for the Deaf. 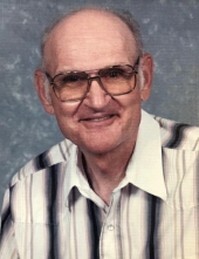 He was a long-time member of the Central Iowa Club of the Deaf. Orval is survived by his daughters: Ardis (David Shaffar) and Sandy (Michael) Viers; three grandchildren; and six great-grandchildren. He was preceded in death by his wife, Lorelei; his son, Timothy; his parents; and a brother and sister. A Celebration of Life was held at 1:30 p.m. Sunday, August 12, at the American Legion in Maxwell. In lieu of flowers, memorial contributions may be made to the Story County Freedom Rock in care of the Maxwell American Legion. Thanks to Rasmusson-Bacon Funeral Home, Nevada, Iowa and Dorene and Patrick Sell for the information.